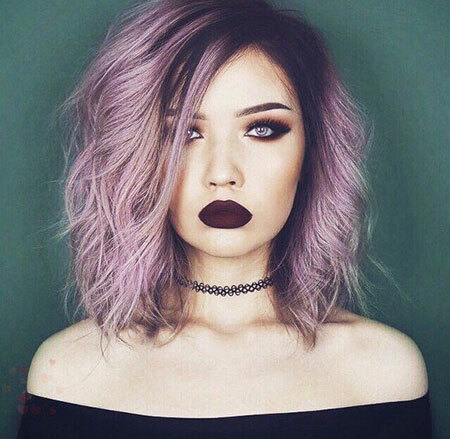 Purple hair is really an experimental hairstyle to get a sassy look. 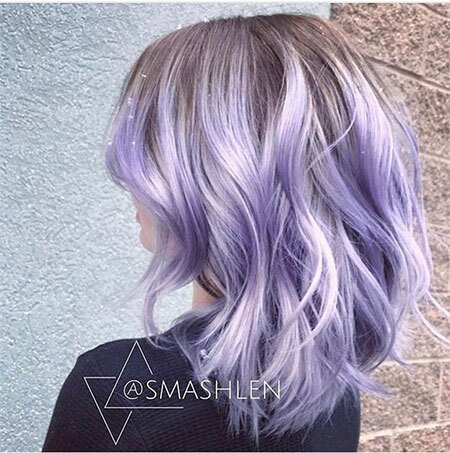 Once purple hairstyle was treated as a cranky custom, but now a days it is a symbol of fun, youth and adolescent. It is the color that evinces power, royalty and luxury. 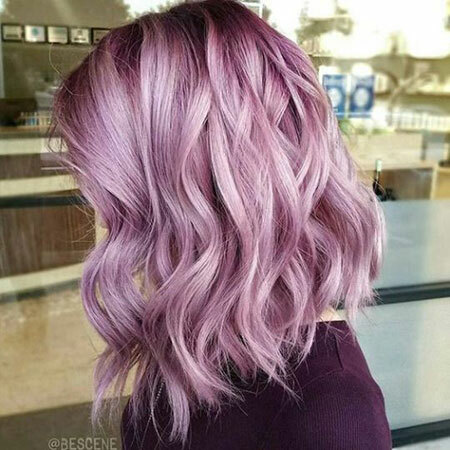 The most interesting thing is that you can play around with this color. 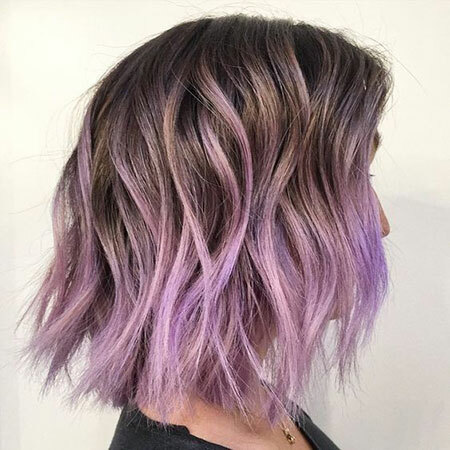 The pop star Katy Perry, singer Elodie Di Patrizi, Irene Kim, Nicole Richie and many more celebrities are showed off with purple colored short hairstyle. 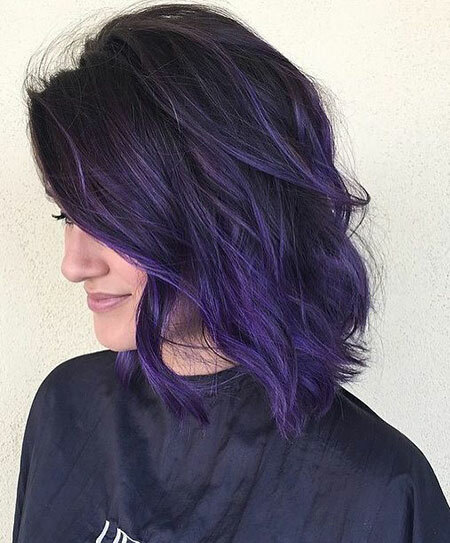 The beautiful fact is that short hair with purple exposes a storm to the world rather than funky colored hair. 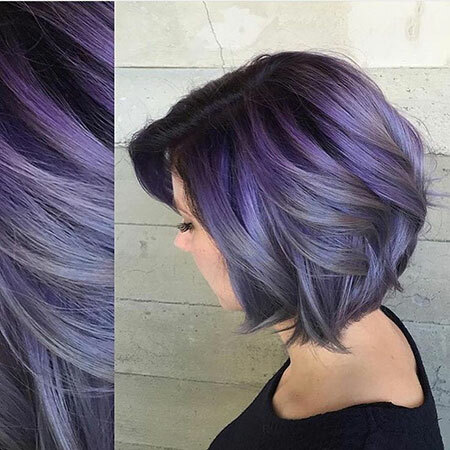 There are enormous purple shades for hairstyles. 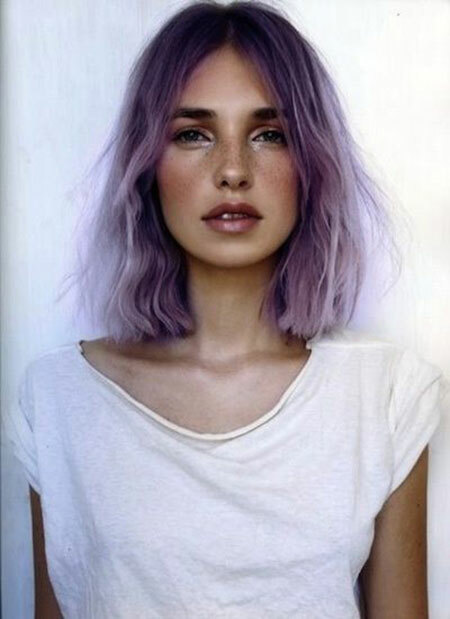 One shade is dusky violet that makes you perfect whereas a two tone vibrant shade makes you look gorgeous. 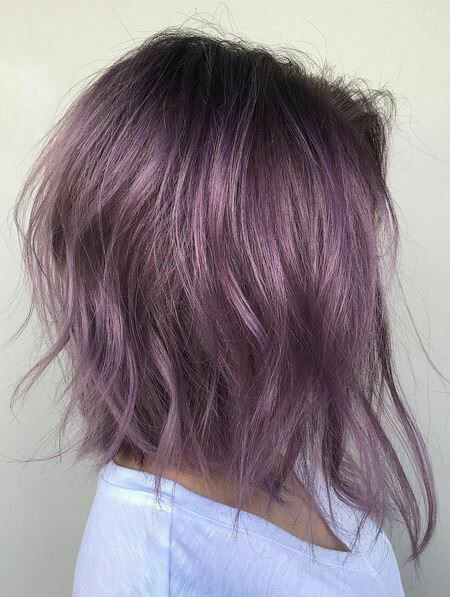 Beside these two shades, there are vast numbers of possibilities in purple shade which you can customize by yourself or can tell your hairdresser. 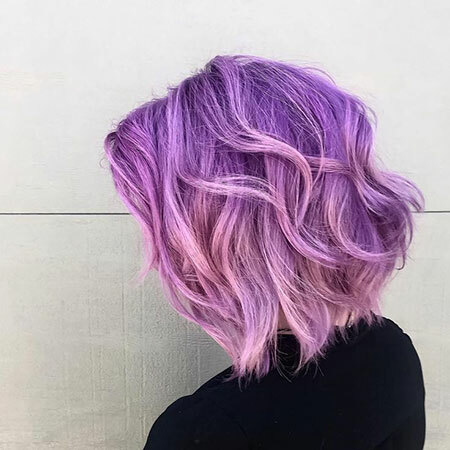 However, it requires some maintenance in using color on your hair. 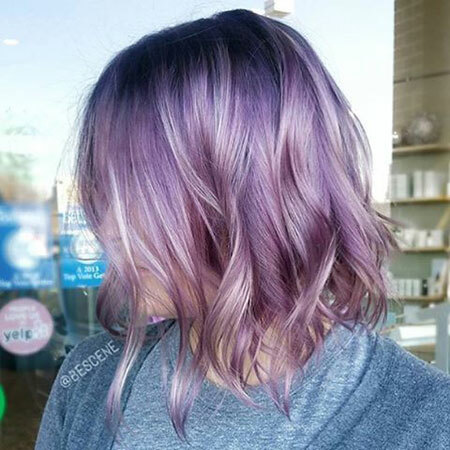 Like other dyeing color, you have to take more care when you own unnatural color in your hair. 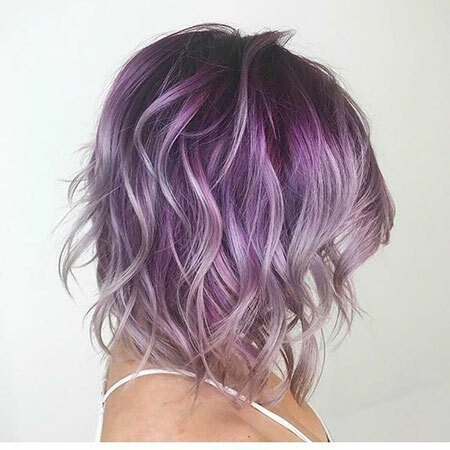 Frequently dyeing hair requires more care and you have to make sure that your hair gets proper nutrition and moisture. 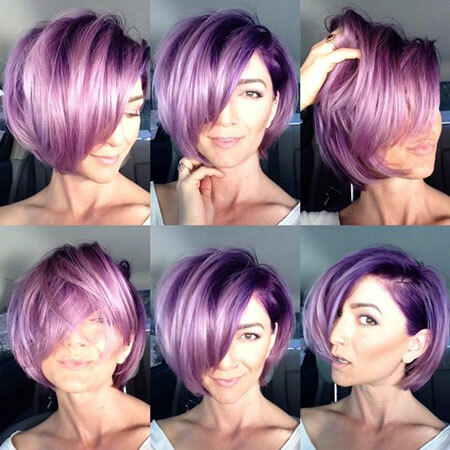 Before choosing purple as your short hair color, you need to make the shade which suits your skin tone. 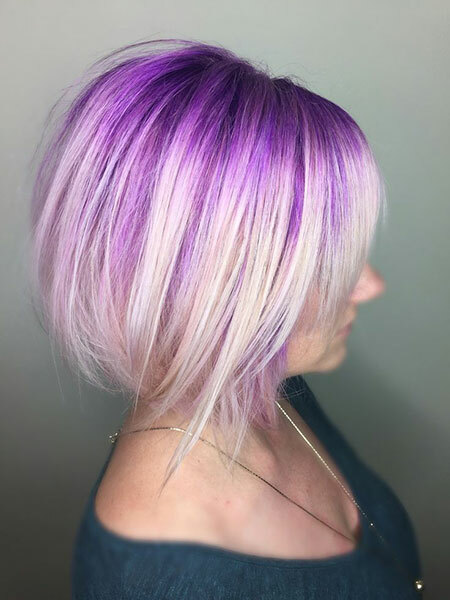 For those, who has cool undertone in their skin, can choose serene shades of purple, and others with warm undertone in their skin can use arrogant shades like magenta. But that doesn’t mean that you cannot use cool shades if you have warm undertone in your skin. Yes you can add some alternative mixer in your shades that help the cool shades being used in warm skin tone. Keep in mind you need to nourish your hair and use sulfate free shampoo. 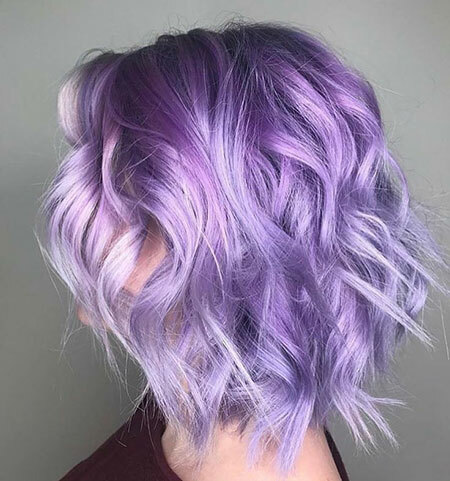 You can choose any contrast color in your fashion when you have purple hair; otherwise black, grey and white are always suit in any colored fashion. 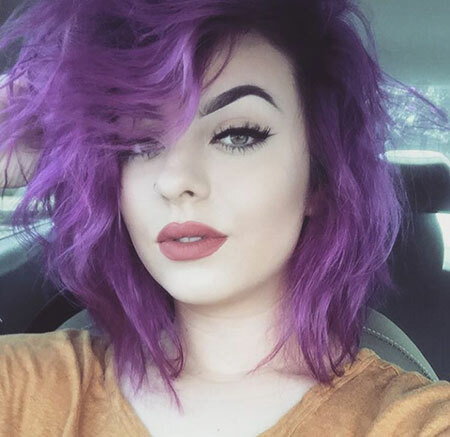 Whatever you fashion with, the short purple hair style will make you noticeable in a crowd. You may look trendy or gorgeous or cranky according to the combination you choose. 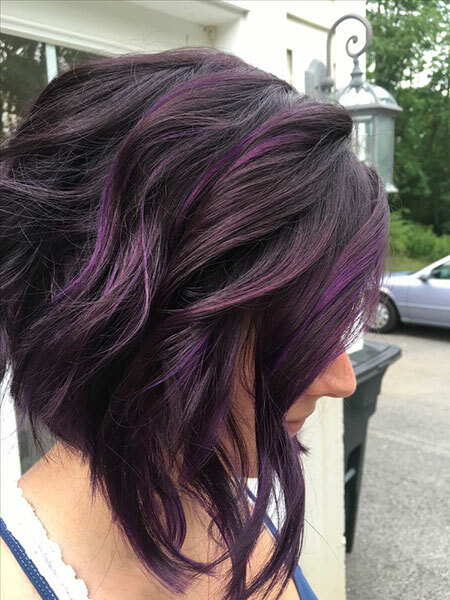 This is a messy bob cut with vibrant shades of purple. 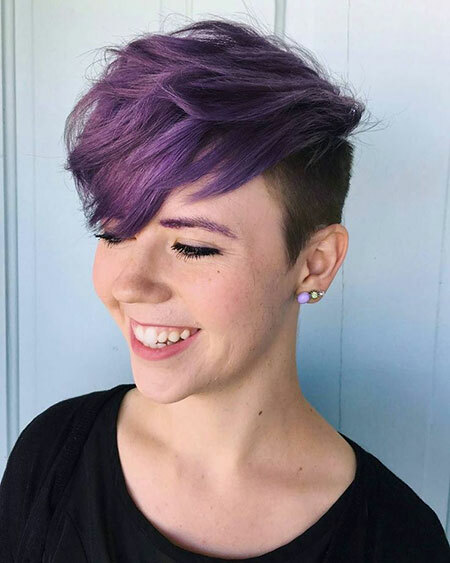 This hairstyle suits on dark brown or any other dark colored hair. 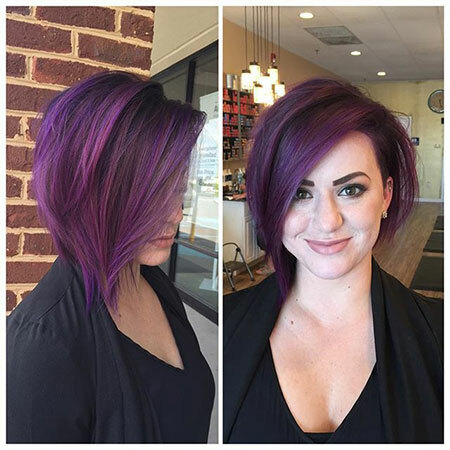 This is a stacked bob cut with rich purple highlights. 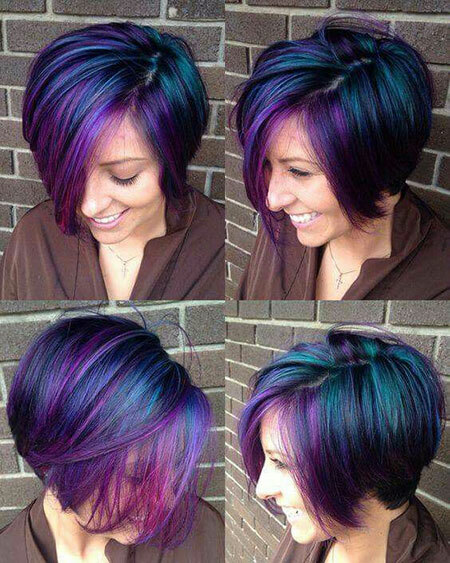 Woman with this colored hairstyle appears to be totally a sign of boldness and quite feminine. 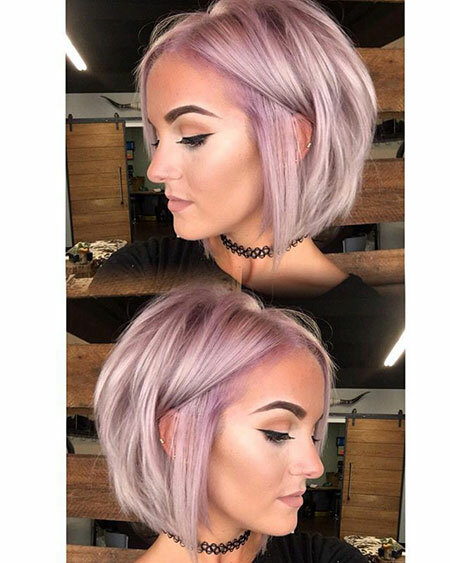 Stacked bob cut hair with pastel light purple shades makes woman confident and gorgeous. 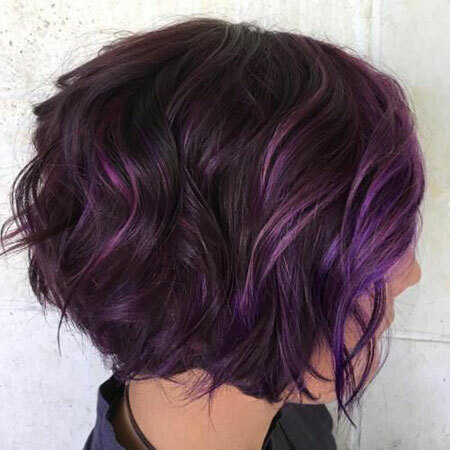 But you can make your own combination with either blue, dark violet or magenta. 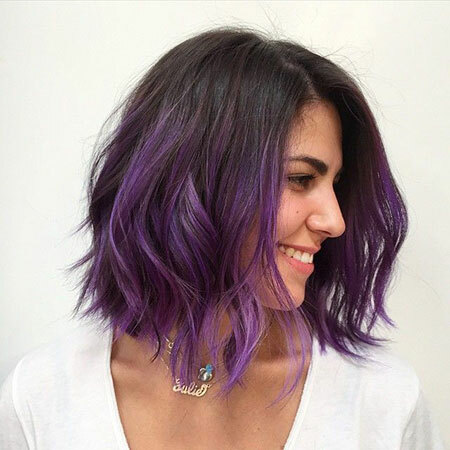 The short bob cut hair purple ombre makes woman look cute and perfect. 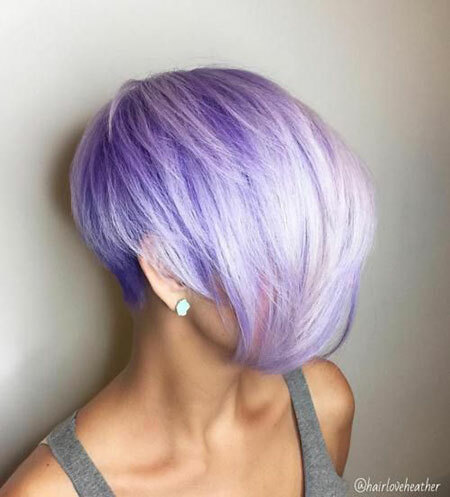 You can make your own combination with either violet or plum or lilac or lavender. 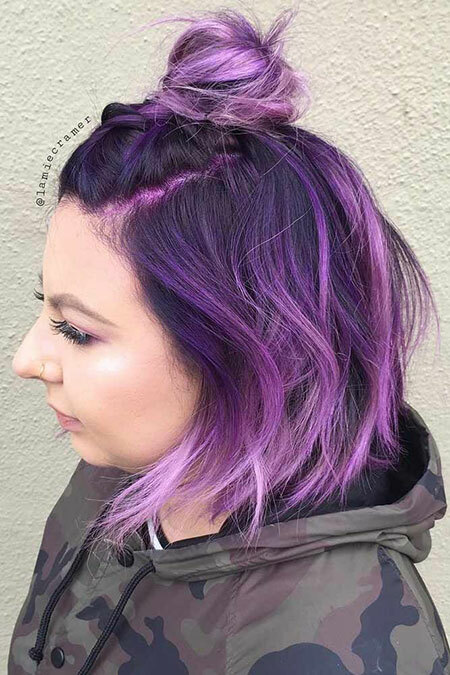 Purple Ombre is the mainstream trendy hair color.